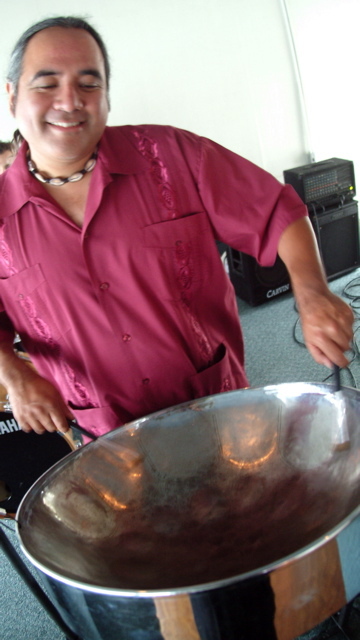 on this day Steel Parade performed for a Retirement Celebration at the San Clemente State Beach Old Cottage. performing for a retiring fireman. freshman orientation dinner at Whittier College. delicious buffet by Bon Appetit Catering. today we played for a private pool party in signal hill, ca. it got over 100 degrees. today we performed for Lennar Homes in Santee, CA. many thanx to Leslie Bonifay and Amber Jillard. today we played at Master’s College in Santa Clarita, CA, for the Freshman Orientation Luau. just another average day at Master’s College. Rob Ikegami and his crew do a good job throwing a party. this video is funny to me because i am shooting video with my right hand, and trying to play steel drum with my left while i sing.